It is important to control the interior moisture levels of buildings located in a dry climate. 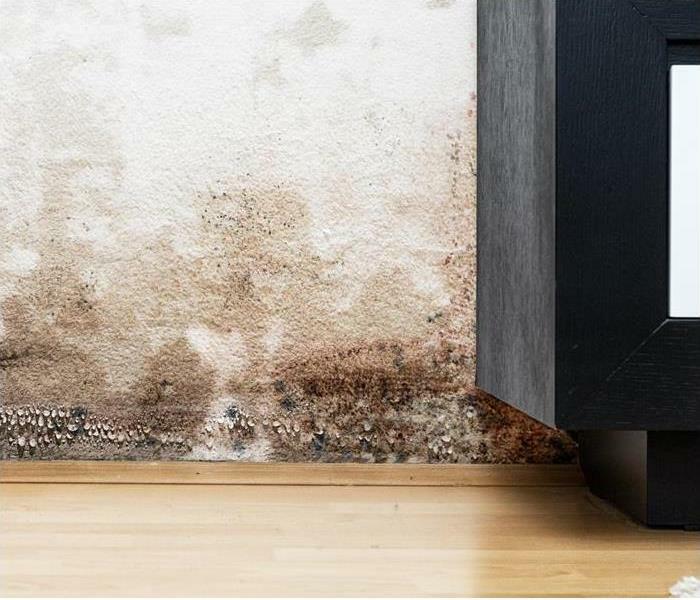 Mold is less likely to form outside in dry climates, but fungus can still pose a problem if excessive moisture is present indoors. Learn more about the risks for black mold and other species in buildings located in a dry climate. A broken pipe or backup can introduce a lot of water into a structure in a short period of time. The risk of black mold rises whenever contaminated water is involved. Slower leaks can also support hidden mold. Building owners or managers should check for leaks and ensure that appliances stay clean. 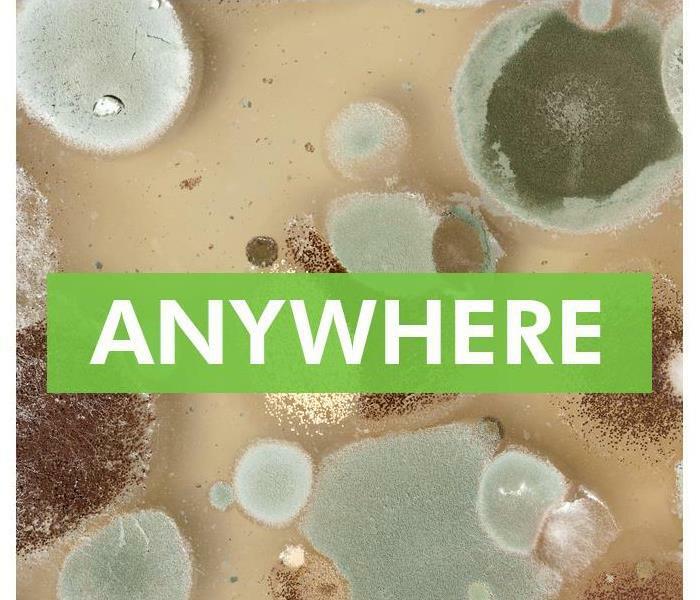 Mold growth in any part of an HVAC system can spread spores throughout a structure. Sinks, toilets and shower facilities elevate moisture levels. Owners or managers should install and operate exhaust fans rated for the size of each bathroom, keep facilities clean and quickly fix backups or leaks. If conditions conducive to mold growth persist for 24 to 72 hours before the cause is fixed and a building owner does not pursue mold remediation, the risk may not be completely eliminated. Mold that has begun growing may dry out and pose a serious problem when moisture levels rise again. It is important to control the interior moisture levels of buildings located in a dry climate. Black mold and other species can form inside of any structure. If a musty odor or other signs of mold are present, an owner or manager should contact a mold cleanup and restoration service in Burton, TX. Work with SERVPRO to make the claim services process exponentially easier. Insurance adjusters often get a bad rap because they're "slow to handle claims," but the truth is that insurance companies can only move as fast as their vendors—of which there are often many. 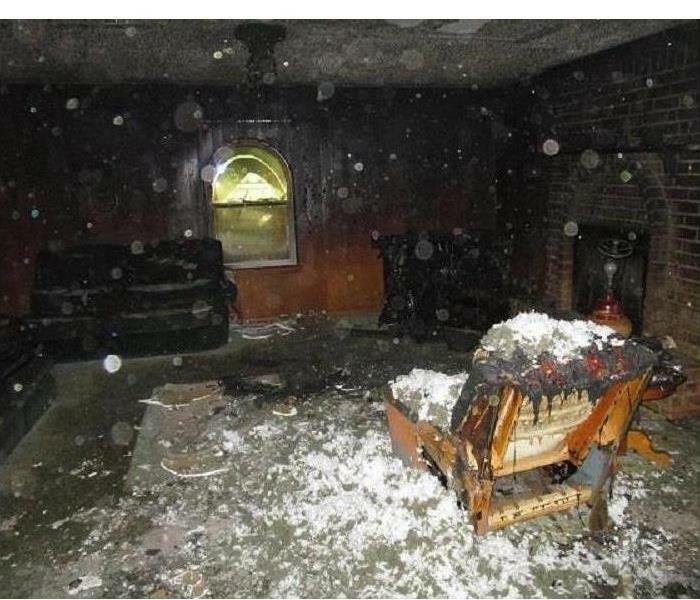 From the initial emergency response team to the cleanup crew, and from the appraiser to the underwriter, a single claim goes through many professionals before the adjuster can make a final decision. When one vendor experiences a hold up, all vendors experience a hold up, which can delay claim services by days or even weeks. When insurance companies work with SERVPRO, however, the claims process moves exponentially quicker. In an emergency situation, the right Brenham, TX emergency response team will not only be on site within one to four hours, but also, it can help speed up the claim services process. The national leader in damage restoration not only responds immediately to emergency situations but also, it performs pretesting and itemized loss inventory. It also provides insurers with the fast, accurate information they need to make sound claims decisions, including a complete electronic file, online access to files and informative reports that can serve to improve results and cut job cost data. If you own an insurance company in Brenham, TX and if you're tired of getting blamed for delays that are out of your control, consider switching from several vendors to one. Work with SERVPRO to make the claim services process exponentially easier. Water heaters are meant to last, and some have been documented to be in fine condition for over 25 years. Water heaters are meant to last, and some have been documented to be in fine condition for over 25 years. So, how can you tell if your water heater needs to be replaced? Here are four tips that can help you determine if you need to replace your aging heater, or if you can repair it. A heater that grumbles with loud noises as it heats the water probably does not need to be replaced. The grumbling, cracking, and crunching sounds often occur due to sediment buildup, and that is typically a problem that can be fixed with a simple water heater flush. Water puddles under the heater can come from cracks in the main tank, a loose valve, or condensation. Check to see where the water is coming from in order to determine if you need a new unit. If your heater is an older model, it may be time to replace it to prevent a flood. Depending on how often the water heater was used, what type of heating unit it is, and what type of water feeds into the tank, your water heating appliance may last from between 10 and 20 years. Many begin to demonstrate some type of problems beginning at around eight years, while others may have a complete failure after working for 12 years. In other words, there is no set-in stone answer regarding age. If your water is rust colored, it could be that the heater has become corroded and needs replacement. It could also mean that the pipes leading into your home are the old iron type that has begun to flake the rusty bits into the water coming into your house. If you find rust, call in a residential water specialist in Burton, TX to determine where the rust is coming from. You can depend on hot water from your water heater if you check for signs that it needs replacement or repair. Take care of the heater tank, and it may give you hot showers for years to come. There are several reasons why you should hire specialists to handle mold cleanup, removal and remediation. 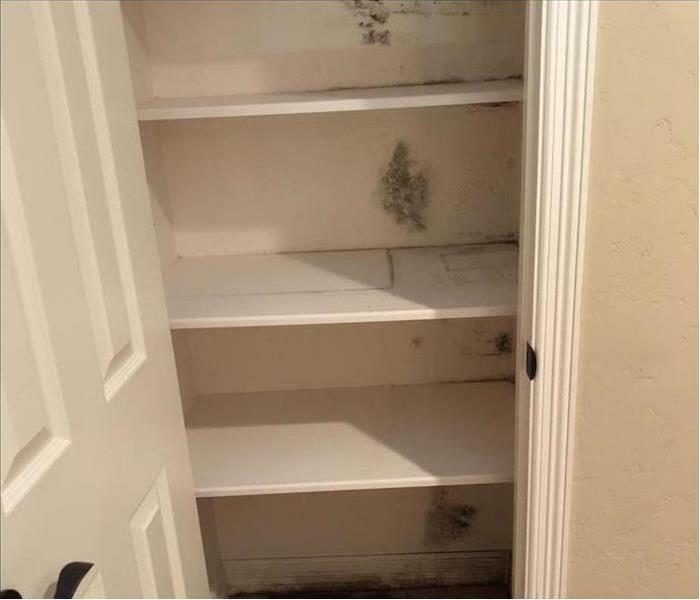 Shower mold is a common occurrence in Burton, TX. Specifically, residential bathrooms retain a lot of moisture, which causes fungus to thrive. Spot mold in your shower? Below there are specific precautions to take to get rid of it. When you notice mold in your shower, your first instinct may be to clean it. Instead of relying on DIY cleaning methods, consider hiring mold remediation specialists. This is a better approach because it’s a safe, effective removal process. There are several reasons why you should hire specialists to handle mold cleanup, removal and remediation. One, the mold is not safe, so you need to limit your exposure. Two, the fungus growth may be more extensive than you realize. Finally, even if you can remove it using DIY methods, the problem is likely to return. Shower mold is a serious matter. Once you have taken the necessary safety precautions above, the next step is to have the fungus removed as soon as possible. Emergency restoration services are the way to go to solve this problem. These companies have highly-trained technicians and the proper equipment to safely remove the fungus growth. 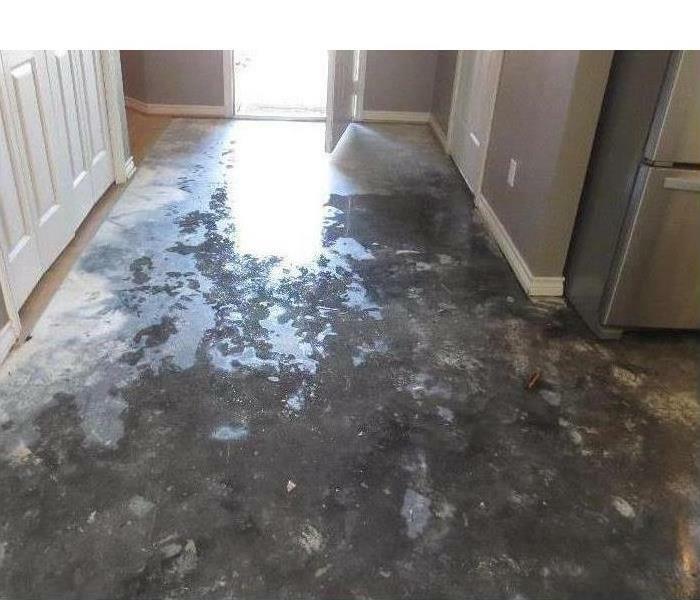 Dealing with damage due to flooding in Bryan, TX can be a devastating affair.If you don’t take the right steps to dry out your home and remove all the water, you could be dealing with the results for years to come. Whether the water damage is from a leaky pipe, rainstorm or flood, you want to restore your home as soon as possible. Category 1 is clean water. Clean water sources could include water pipes, steam lines, water heaters and sometimes rainwater. If it is category 1, it will look and smell like tap water. 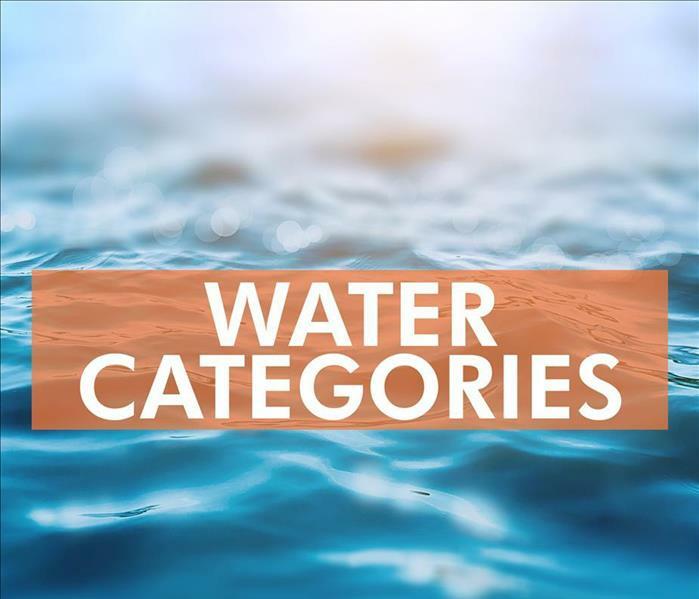 Categories 2 and 3, gray water and black water, present risks. It is important to understand the difference between the two. If your home has contamination from flood waters or sewage backup, a more extensive cleanup will be required. Visit http://www.SERVPRObrazosvalley.com for more information on storm damage. When flooding occurs at your Bryan, TX, home, not all the damage may be immediately apparent. In fact, swelling wood, damaged drywall and other problems might not be visible until the flood waters are removed by a professional storm cleanup and restoration company. Once you take stock of the damage, knowing how the building materials in your home can be affected by flood waters may help you take the firsts steps in having the damage repaired. Wooden furniture and hardwood floors can sustain serious damage from almost any type of flooding event. Because wood is a porous material, it can absorb water and cause warping. Molding and wainscoting may crack due to swelling wood and might need replacing. Treated wood furniture may not absorb as much water and may be salvageable. Your home's insulation can suffer serious damage during a flood, especially if a water supply line breaks directly next to an interior wall that contains it. Even if the wall itself does not appear damaged, wet insulation can cause mold growth and foul odors that may eventually seep out into your home. Restoration experts can perform a flood cut, which removes part of the wall to expose the insulation so it can be inspected and removed. Any affected drywall near the source of the flood may be salvageable if you act quickly. Having sections removed and properly dried may allow you to put it back once the area is checked for mold. Drywall that must be removed for water pipe repair should be moved into a room with low humidity so water evaporation does not damage it. Your Bryan, TX, home can be affected by flooding in many ways. However, when you understand how water can affect its building materials, you can act quickly to prevent swelling wood, insulation rot and other water damage. Whether it’s a critical business document or simply a treasured personal certificate, our documents can be integral to our life and livelihood. What happens when they are damaged in a flood or other disaster? Many documents can’t be replaced easily while others require time that we can’t afford. Document restoration services offer a great solution when disaster strikes your most important papers. Here are some of the ways College Station, TX, recovery firms save documents. and a myriad of other sensitive documents using means both creative and high tech. Flooding and other events can leave documents exposed to dangerous sewage or even black water. Document restoration specialists can help by using gamma irradiation to sterilize harmful bacteria, viruses and chemicals. Water exposure can leave documents damp at best or soggy at worst. Air dried documents tend toward warping or harmful brittleness that leaves them illegible or vulnerable to damage. Paper restorers use vacuum freeze-drying techniques to extract liquid in a way that keeps documents intact. An alternative to risking paper damage is converting documents to digital formats. SERVPRO restoration specialists can convert your documents to modern digital versions, saving you storage space and peace of mind from the threat of future water damage. Documents are critical records that reflect everything from intellectual property and business strategies to personal achievements and sentimental milestones. Damage to them no longer must be catastrophic. 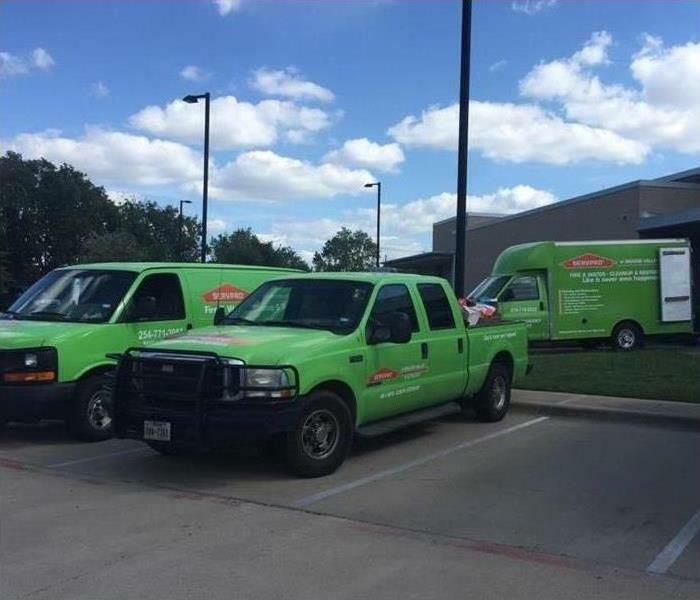 Call the document restoration specialists at SERVPRO to get your documents back like new. Feelings of sorrow and fear overwhelm the victims of residential fires because they are forced to watch the flames engulf and destroy their homes and personal belongings. Firefighters will respond as quickly as they can so that they can save lives and reduce the devastation, but they are often too late to prevent fire damage. Also, firefighters will break windows to create ventilation and use large amounts of water to put the fire out. If you need someone to repair and restore your smoke damaged home, turning to a fire restoration team is the smart move. When you enlist their services, the team will begin cleaning soot from walls to tackle the lingering smoke odor. In addition to getting rid of the lingering smoke odor, your fire restoration professionals will also send your personal belongings to another location to be cleaned and repaired. After they have finished cleaning soot from walls, your trusted experts might need to paint your walls to give you the best results possible. Although they won't always be able to fix all of the fire damage, they will impress you when they take care of your smoke damaged home, and they look forward to meeting your needs. Peace of mind is only one phone call away, and you can get started as soon as you are ready. Visit http://www.SERVPRObrazosvalley.com for more information on fire damage. Rental properties can come with many surprises, not the least of which can be leaking pipes. Taking care of leaks as soon as they are detected is a way of practicing good mold prevention. Preventing the growth of mold can be a good way of making certain that your Bryan, TX, home is in good condition year after year. By following these three important steps, you can stop mold growth in its tracks. Water damage can be a top cause of mold growing inside homes. Although serious spills can potentially contribute to the growth of mold, a constant trickle of water is a much more likely cause. Once a leak is detected and the growth of mold suspected, take steps to turn off the flow of water. Some pipes will have a shut-off valve that can be activated to prevent water from flowing into a pipe even when a fixture is in the “off” position. This can be a good first step to take in mold prevention. Warm, damp conditions tend to be ideal for accelerating the growth of mold inside a home. Cooler temperatures halt the growth cycle of mold spores, so turning down the heat can be another good way of preventing this from happening. Turn down your home’s thermostat so that the heater will not automatically cycle on during the night or while you are out of the house. 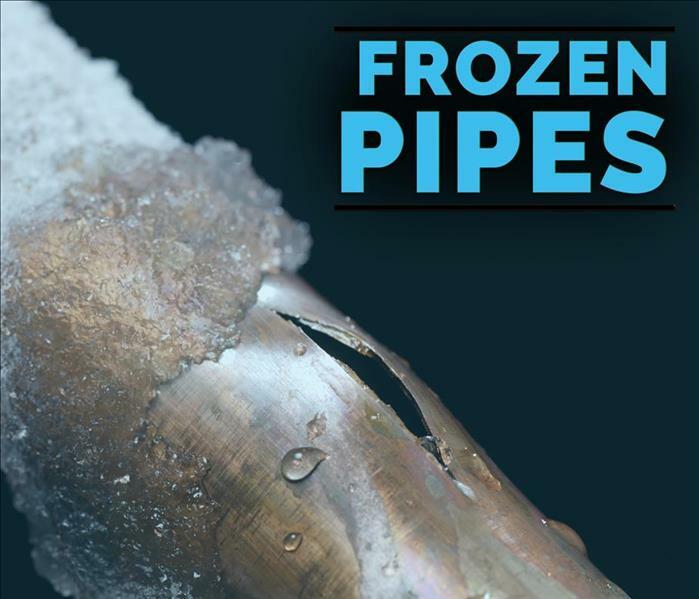 Very cold temperatures can cause the water in pipes to freeze, especially in areas where the pipes enter the home from the outside. If the water in these pipes freeze, the ice may expand and has the potential to burst the pipes, causing a leak to occur. This can lead to additional instances of mold. Keeping some heat available can prevent this from happening. If you suspect that your Bryan, TX, rental home has mold, speak with experts as soon as possible. Taking mold prevention steps in the first place is a good practice. If possible, insulate them against cold and wintry drafts. Keep the heat above 45 degrees Fahrenheit (7 degrees Celsius) in all areas of the building. Monitor the roof condition and clear off any standing water. Sometimes, despite preparation, winter storm damage occurs. When it does, business owners should contact their insurance companies and a restoration specialist. The best professionals can restore commercial structures to their preloss conditions. Visit http://www.SERVPRObrazosvalley.com for more information on commercial storm damage. 4/15/2019 - Can Mold Thrive in a Dry Climate? 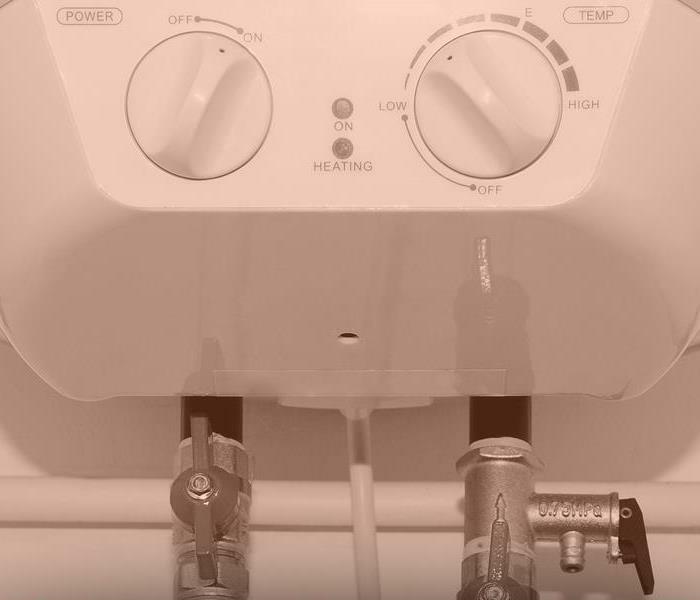 3/19/2019 - Does Your Water Heater Need To Be Replaced?